Zillion RPM Labs best training on CNC Router / Mill, CNC Laser Cutting and Engraving, 3D Printer /RP Machines/Additive Manufacturing, 3D Scanner, CAD/CAM Technologies, etc... for Individuals, Institutions, Industries.This program is installed on the Windows computers in the Shop and in the Lab. 2D and 3D files may be imported into ArtCAM or created in ArtCAM directly. All objects or 2D drawings should be scaled to actual size, with mm as the units. CNC Router must be willing to spend a bit of time learning the basics of ArtCAM. ArtCAM training is generally done seperately in the Labs. Setting up ArtCAM tool pathes is a bit complex, but we will guide you through the process and ensure that everything is done correctly. 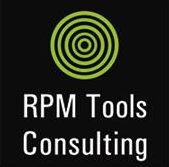 RPM Tools Consulting is committed to providing high-quality products and services to our customers. Moreover, our efforts extend beyond providing outstanding products and services to those who need them. RPM Tools Consulting conducts researche and participates in a number of initiatives to constantly develop our sector of the industry and to contribute to society. RPM Tools Consulting is implementing a strategy to accelerate growth through innovation, and strengthening organizational and associates' capabilities. RPM Tools Consulting continuously seeks to develop technologies and products that will have a greater impact on workers' safety.